Salt Lake Lettering Club at Grid Zine Fest! Shirts, pins, stickers, and of course zines for sale! We’ll also be offering to letter your name as keepsake for free. A free workshop for beginners who want to write beautifully. Local outdoor brand Cotopaxi is celebrating five years of doing good. 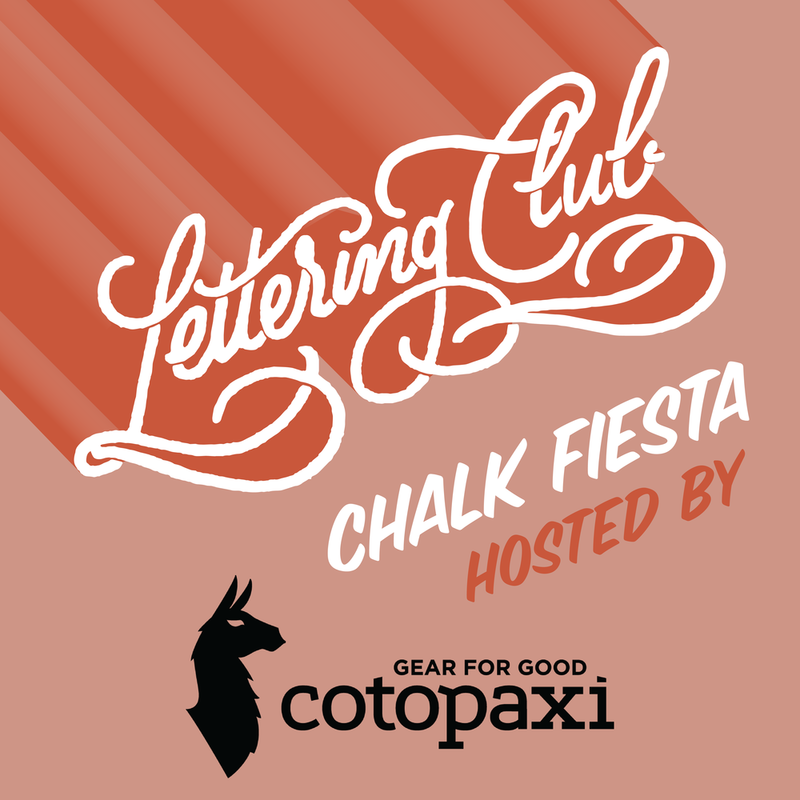 In preparation for its Five-Year Fiesta, the Salt Lake Lettering Club is invited to help decorate a blank concrete venue with colorful, fiesta-themed chalk drawings the evening before the party. All skill levels welcome — supplies and light snacks will be provided! Open Meetup: All skill levels welcome! No matter how long you’ve been doing lettering, we'd love to have you. Bring your favorite lettering tools, sketchbook, iPad, laptop, watercolors, etc.—your medium of choice! Lettering Club provides shared lettering markers and paper for sketching and drawing. In this three-hour workshop, you’ll learn: the basics of pattern design and how to use your lettering to create custom patterns. workshops, meetups, and other local lettering events!